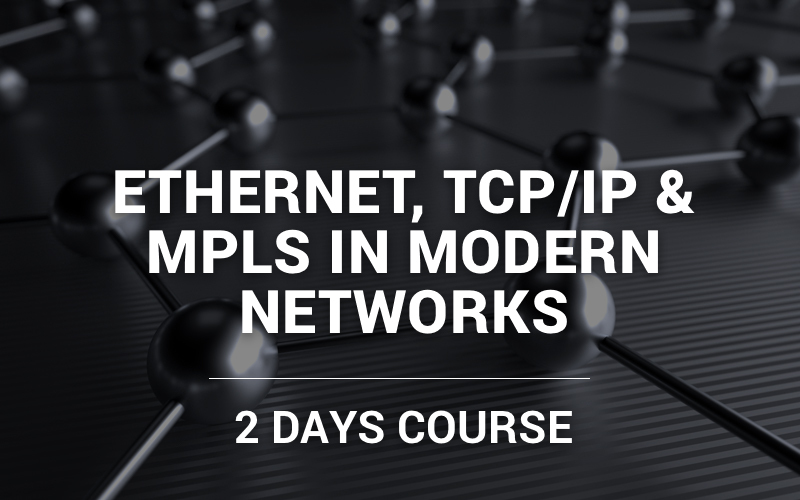 Ethernet, TCP/IP & MPLS in Modern Networks – 2 days. Can be delivered In-house or as a public session. This course will explain how Ethernet became carrier grade and now challenges SDH as the transport technology of choice. We will explain the framing, V-LAN’s & prioritisation, traffic profiles, and how to test the UNI and then the EVC using standards based tests. We then explore the Internet Protocol, v6 addressing, quality of service levels, security & VPN’s and the emergence of MPLS as a transport technology. Learn how these technologies are shaping modern networks into “All Ethernet & IP” Infrastructures. Technical managers, network design engineers, software engineers, installation, commissioning and maintenance engineers and anyone needing a detailed technical understanding of today’s Layer 2/3 networks and how to test them to ensure SLA conformance. • Understand how these technologies interconnect to form “next generation” architectures. • Be able to properly test both Ethernet Services and IP Application channels. 2 days, interactive classroom based, with discussions, quizzes, and group exercises.